Down Syndrome is a condition that occurs when some or all of the cells in a human have an extra copy of the 21st chromosome. (One variation is sometimes called Trisomy 21). It occurs once in every 691 births in our country, affecting more than 400,000 people in the United States alone. And it’s not the diagnosis it was 50 or even 20 years ago. People with Down Syndrome are living longer and living fuller lives — school, jobs, independence and success. As much as this blog is NOT about Down Syndrome, it is. 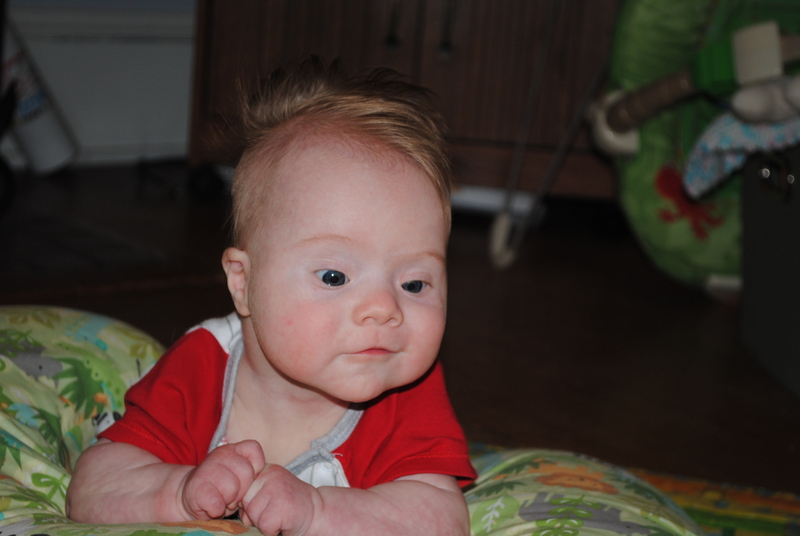 As much as our family’s world is NOT about Down Syndrome, it is. There’s an extra chromosome in our home. But there’s also extra love, lots of laughs and a lot of beautiful, everyday happiness. The first day I spent alone at the house with Zachary, I found the National Down Syndrome Society website. We had, in the past 10 days, gone through three days of labor, an emergency C-section, the suspected signs of Down Syndrome, our first visit to the pediatric cardiologist, five days in the hospital and the ultimate confirmation of Zack’s Down Syndrome diagnosis. And then Scott went back to work and I thought I would never survive those first few hours, staring into the blue eyes of my son. Eyes that had little white spots that reminded me of stars; little white spots that were a sign of DS. I stared into those stars and went to Google. I found NDSS and soaked up as much information as I could — what to expect, what it all meant, what the future could hold for our family. And the tears stopped and my faith grew. For Zack’s first birthday, we asked for donations instead of gifts. We raised more than $2,000 in just a few weeks. That number has grown to more than $3,000 as we continue our appeal to raise funds for NDSS, a place that our family, including our soon-to-be daughter, and the 400,000 other families coming to terms with DS can find that hope and faith. Our family’s fundraiser can be found HERE. Our family was featured on WTAJ-TV’s Central PA Live and regular newscast for World Down Syndrome Day. That video can be seen HERE. 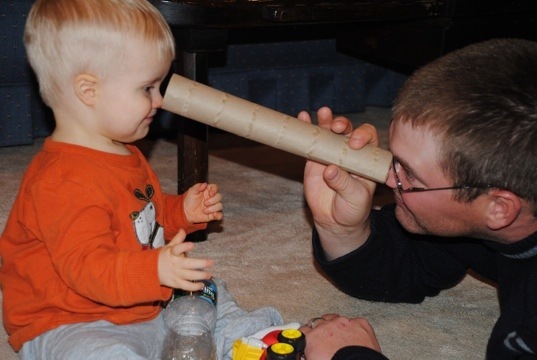 In July 2012, The Altoona Mirror’s parenting magazine featured our family in their cover story on families dealing with special needs, available online here. In celebration of Zack’s first 18 months and all that he’s accomplished and we’ve learned, we created this video.